Newsies (film) The young newsboys of New York City are dismayed when, in an attempt to squeeze out more profits for his newspaper, publisher Joseph Pulitzer increases the price they pay for their papers. 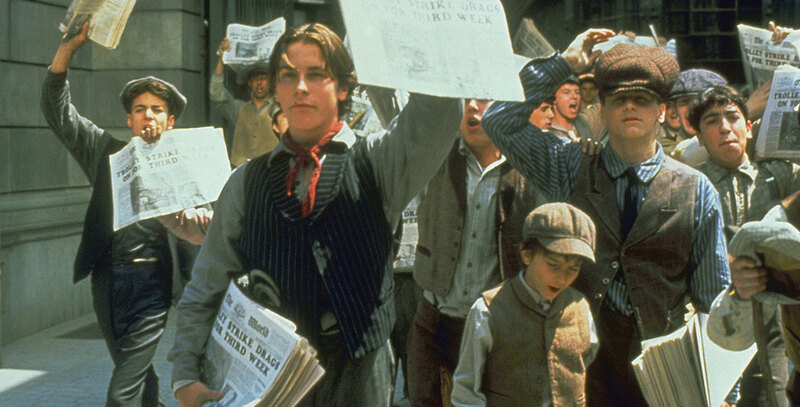 Led by the spirited Jack Kelly, the newsies set out to challenge the power of the press bosses and go on strike. With the help of reporter Bryan Denton, the newsies get word of the strike out to the whole city, and other child laborers rally to the cause. Jack himself confronts Pulitzer in a battle of wills. The strike is eventually successful, thanks in part to the intervention of Teddy Roosevelt. A musical. Released on April 10, 1992. Directed by Kenny Ortega. Filmed in CinemaScope. 121 min. 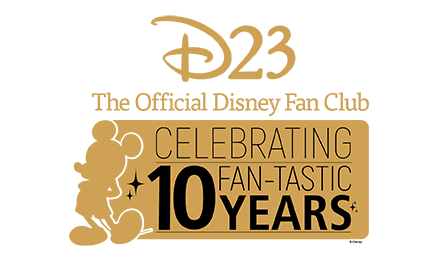 Stars Christian Bale (Jack Kelly), David Moscow (David Jacobs), Max Casella (Racetrack), Marty Belafsky (Crutchy), Bill Pullman (Bryan Denton), Ann-Margret (Medda Larkson), Robert Duvall (Joseph Pulitzer). Original songs by Alan Menken and Jack Feldman. Filmed primarily on the Universal Studios backlot, the first movie shot on their New York street set that had just been rebuilt after a disastrous fire in 1990. (Another Disney film, Oscar, was the last film shot on the set before the fire.) Released on video in 1992.